The Foal of Bethphage by James Tissot, ca. 1888. 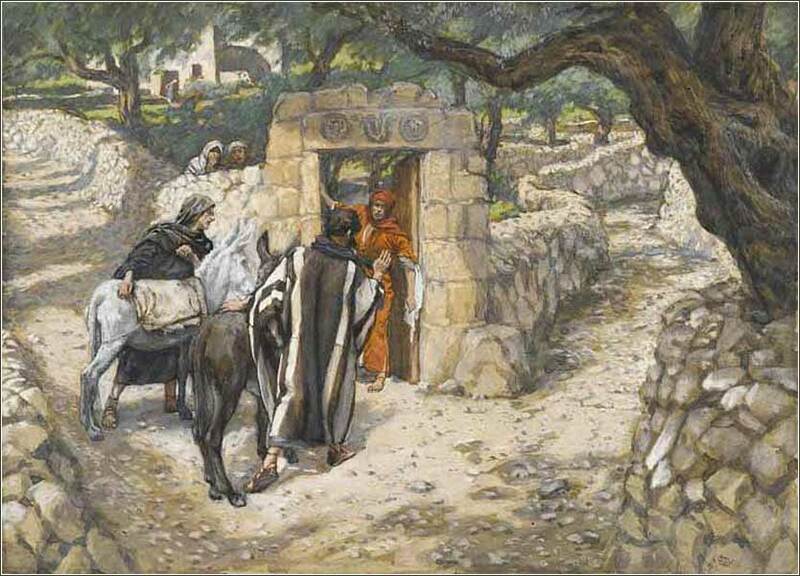 Tissot is obviously illustrating Matthew, as we see two colts. O gracious Father, I humbly pray to you for your holy church, that you would be pleased to fill it with all truth. Where hypocrisy exists, help those who suffer it to see their fault and correct it. Where disputes exist, let them be resolved in all peace. Where it is corrupt, purify it; where it is in error, direct it; where in anything it is amiss, reform it. Where it is right, help us to establish and nurture it through your mighty power; where it is in want, provide for it; and where it is divided, reunite it. All this I pray for the sake of him who died and rose again, and ever lives to intercede for our very souls, Jesus Christ, your Son, our Lord. This is our current Memory Verse! 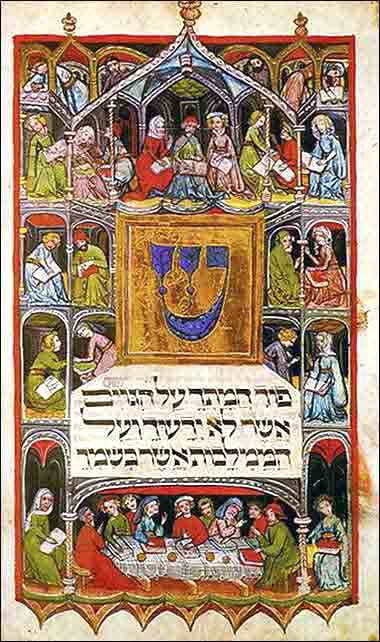 A 14th-century German illuminated Haggadah. A Haggadah is the script recited at the first two Seder meals of Passover. It tells the story of the Exodus. The Lord said to Moses and Aaron in the land of Egypt, “This month shall be for you the beginning of months. It shall be the first month of the year for you. Tell all the congregation of Israel that on the tenth day of this month every man shall take a lamb according to their fathers' houses, a lamb for a household. And if the household is too small for a lamb, then he and his nearest neighbor shall take according to the number of persons; according to what each can eat you shall make your count for the lamb. Your lamb shall be without blemish, a male a year old. . . .
Then they shall take some of the blood and put it on the two doorposts and the lintel of the houses in which they eat it. They shall eat the flesh that night, roasted on the fire; with unleavened bread and bitter herbs they shall eat it. . . .
To get an idea of the crowd, a Roman governor a few years later counted 250,000 lambs sold. By regulation, a sacrificed lamb was supposed to be shared by at least ten men, the basic unit of worship in Judaism. (A synagogue, for example, might only be built in a town where there were ten Jewish men of age — a rule still in effect today.) So there were by this calculation 2.5 million men — not counting women and children, who often came — crowded into and around a city of perhaps 30,000 to 125,000 inhabitants. I doubt many people believe that there were 2.5 million men in Jerusalem for Passover in the Herodian era. The governor might have over counted lambs, and people may have bought lambs for less than ten men or for purposes other than Passover sacrifice. But putting aside the difficulties of counting people 2,000 years ago, Jerusalem and the surrounding lands were undoubtedly packed to the gills. This explains the crowd Jesus will encounter entering the city from a minor side road. The countryside was littered with campers. Bethphage must have been a tiny village, for its location is lost to time. (It has been recreated, and a church built, where people believe it stood, but at the time it could not have been much.) Bethany was about a mile from the wall of Jerusalem, so Bethphage is assumed to be about halfway down the road. But this is not even the main road, the Jericho Highway, but a secondary road running over the Mount of Olives. This note is not really about the meaning of the Scripture. Skip it unless you are just interested in more technical details about the Gospels and how they are translated. John 12:14-15 says Jesus rode a “young donkey”; Mark 11:7 and Luke 19:35 say a “colt”. Matthew appears to speak of both a colt and a donkey, that is, two animals, but this is likely a bit of confusion in the translation. The Greeks used the word “and” copiously; its function is often different from its use in English. Also, as we have seen in the Psalms, it is common in Hebrew to say one thing twice in two different ways, and that is certainly how we should read the prophecy from Zechariah. 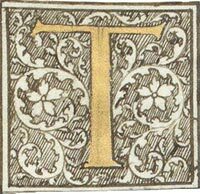 Some Greek manuscripts use plural endings and others, singular endings, to apply to the beast(s). And as to translation, although our English reads, “Untie them and bring them to me,” the word “them” is supplied by the translator; the Greek says only, “Untie and bring to me.” The best reading of Matthew is probably that “colt” and “donkey” are two descriptions of one animal; and this is bolstered, not contradicted, by the other Gospels. Mark and Luke do not say anything about it being a donkey, but the detail would not have had the meaning for their intended audiences that it had to Matthew's. Mark's gospel was primarily intended to prove the resurrection and divinity of Jesus to the Gentiles of Rome, and Luke intended a more thorough general account of Christ's life for the evangelism of Greek Gentiles. Matthew, however, intends to demonstrate to Jewish audiences that Jesus was the Messiah of the Hebrew prophets. So he includes the prophecy of Zechariah, and thus (like John) includes the detail of “a donkey” to show that Zechariah's prophecy was fulfilled by Christ. 2 Corinthians 12:9: “My grace is sufficient for you, for my power is made perfect in weakness.” Therefore I will boast all the more gladly of my weaknesses, so that the power of Christ may rest upon me.